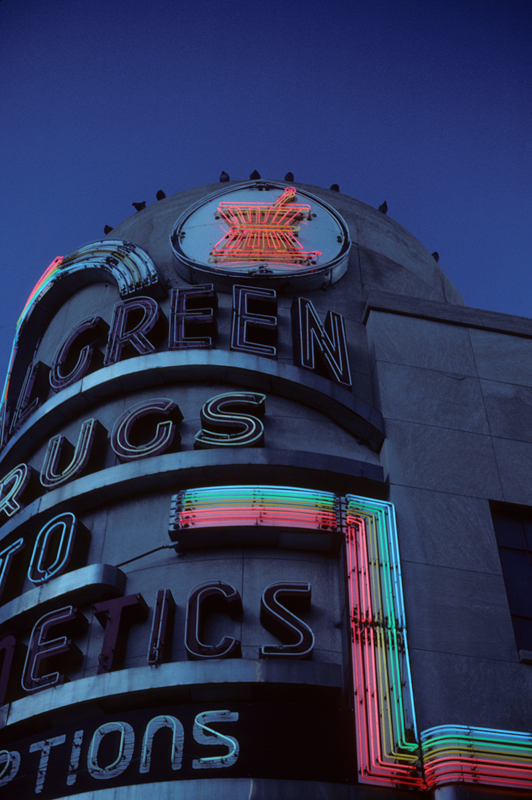 A partially lit neon sign adorns the facade of a Walgreen's drug store in downtown New Orleans, Louisiana. Drugs Seven was posted on Thursday, July 16th, 2015 in the evening by Olen Daelhousen, who photographed it using a Fujica AX-5 loaded with Kodak Kodachrome 64. The image is filed under: Buildings, Signs.